Bison Food Equipment is an Authorized METTLER TOLEDO Distributor. To get a quote, or order products, call 218-238-6363 today! METTLER TOLEDO is committed to supporting food retailers in making their backroom weighing, wrapping and labeling processes as efficient and economical as possible. Rethink the backroom and learn how decades of manufacturing expertise can help increase operational uptime and learn more about the factors that affect the total cost of ownership of meat backroom equipment. The meat department has a significant impact on a customer’s shopping experience. Product quality and price both shape the shopping experience in the meat department and can promote shopper loyalty, encouraging customers to return. METTLER TOLEDO is committed to supporting food retailers in making their backroom weighing, wrapping and labeling processes as efficient and economical as possible. 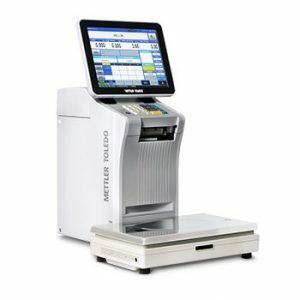 Built to Perform The METTLER TOLEDO 880 Auto Wrapper is the perfect choice for grocery retailers looking for an efficient and robust system for automated weighing, wrapping and labeling in the backroom. Easy handling, comprehensive functionality, and reliability – as well as a proactive service and maintenance offering – make the 880 Auto Wrapper the perfect machine for retailers who wish to optimize their operational uptime and total cost of ownership while easily keeping pace in the highest volume meat backrooms. The 880 Auto Wrapper is built for the most demanding meat and seafood operations. Robust in operation, the 880 Auto Wrapper is designed to deliver day-in and day-out, with production capacity that easily meets peak demand periods. The 880 Auto Wrapper is designed to reduce the total cost of ownership. The machine is easy to use, helping retailers avoid long training times. It comes with fixed services during planned operational downtimes and minimizes film usage and daily maintenance requirements. The 880 Auto Wrapper produces the perfect wrap every time. The machine makes it fast and easy for every operator to control production runs with the tactile keypad and touchscreen. Operators can load trays quickly, as the wrapper automatically moves the tray into the proper position for wrapping. 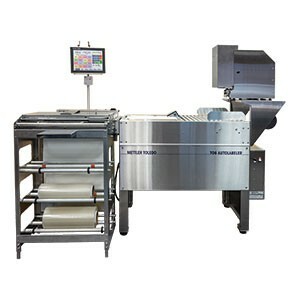 Optimized Weighing and Labeling The 750 Semi-Automatic Wrapper offers a manual wrap station with integrated automatic weigh and labeling functions. The 750 wrapping machine is poised to increase backroom productivity and improve meat case displays. A cost-effective solution for backrooms, the 750 is robust and user-friendly. With a throughput speed of 14-22 packages per minute, the 750 Semi-Automatic Wrapper is fast enough to keep up with steady sales activity. Operators benefit from automatic label application for repeatable, accurate label placement on all packages. Retailers benefit from the optimal label placement produced by the 750’s automatic label applicator. High-quality labels allow for customized design applications and food safety labeling compliance. The 750 Semi-Automatic Wrapper offers a cost effective alternative for grocery backrooms that do not require the high production speed of a fully automated wrapping system, while maintaining the same quality output. The 750 Semi-Automatic Wrapper reduces both the time and the effort required for daily cleaning. Its open design allows for optimal hygiene and safety. Small Footprint for Backroom Optimization The METTLER TOLEDO 840 Manual Label Printer is the ideal choice for grocery retailers who want to equip the meat backroom or look for a powerful label printer for priced-by-weight or by-count prepacked items in the deli or produce areas. The 840 Manual Label Printer enables retailers to enhance their backroom with a hand wrap station that excels in manual weighing and fast labeling. With its intuitive touchscreen, the 840 Manual Label Printer guides employees quickly through the labeling process, reducing training time needed. More experienced operators can enter PLUs using the tactile numeric keypad for even faster results. Thanks to its large 9 in. 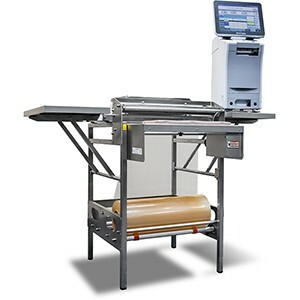 label roll capacity, the 840 Manual Label Printer requires fewer roll changes and achieves superior operational uptime. The easy access, front-loading drawer allows roll changes to be completed quickly. Achieving a print speed of up to 150 mm/s, the 840 Manual Label Printer provides in high-volume, weight-independent price labeling applications – whether in grocery backrooms or in deli stores for priced-by-count, prepacked items. Meet All Your Manual Wrapping Needs The METTLER TOLEDO Step-Saver Hand Wrapping Station is designed for all backroom prepacking needs. As a backup system for the busiest retailers, or stand-alone for infrequent wrapping needs, the Step-Saver will boost productivity, save money, and save space. Operators easily wrap packages manually utilizing the Step-Saver’s ergonomic design. The Step-Saver is designed for operator efficiency and improved productivity. Select the controller that is best for your operation. Label printers offer high-resolution graphic capabilities for quality label display. Integrated software help manage inventory tracking. Stainless steel construction offer durability and enhanced food safety. The Step-Saver is easy to clean and maintain. METTLER TOLEDO Certified Film CF-10 provides grocery retailers with high-quality film for the METTLER TOLEDO 880 Auto Wrapper. 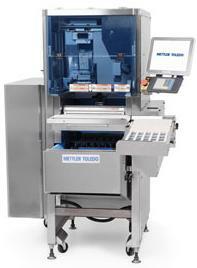 METTLER TOLEDO Certified Film CF-10 is designed and manufactured specifically for the 880 Auto Wrapper. It is the only film endorsed by METTLER TOLEDO for optimal wrapping. Film quality has a significant impact on backroom performance. Using high quality film manufactured to tight specifications reduces machine load and the build-up of plasticizers on critical components. 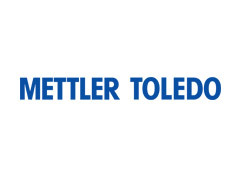 Combined with a regular preventive maintenance plan, METTLER TOLEDO Certified Film CF-10 allows the 880 Auto Wrapper to deliver optimal performance. Roll width, peel force, elasticity and memory are the characteristics that determine the suitability of a film for an auto wrapping machine. METTLER TOLEDO Certified Film CF-10 is designed and manufactured specifically for the 880 Auto Wrapper, ensuring a perfect wrap every time. 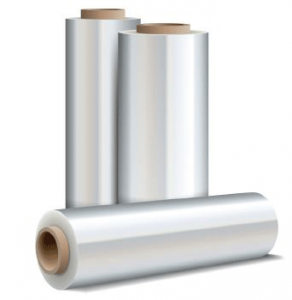 Changing the type of film increases wear on the wrapping machine and might pose a threat to operational uptime or even the life cyle of the wrapper. Following the right film strategy is easy: The 880 Auto Wrapper is configured to achieve not only best wrapping results with METTLER TOLEDO Certified Film CF-10, but also to ensure the highest level of uptime.